Santa Pod Raceway Presents Bug Jam 26. Europe’s Biggest and Best VW Show! Although it may seem like months away, it’ll be July 2012 before you know it – and time to celebrate Europe’s biggest and best VW festival; Bug Jam! 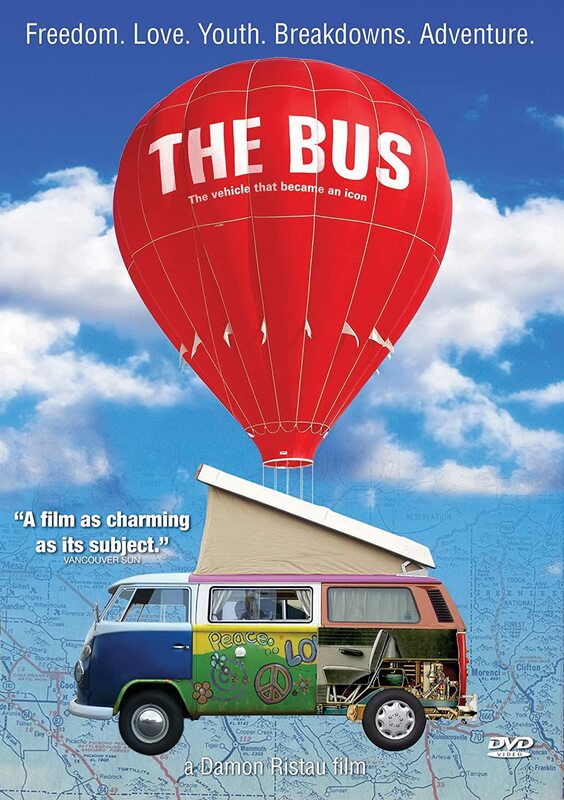 So, grab your tent, your shades and your VW and mark July 20/22 on your calendar! It’s going to be the best show ever, and Santa pod have already laid out some major plans to ensure that true VW enthusiasts get the priority treatment they deserve. After last year’s capacity-packed event, the ‘Pod has already made several key changes to the way the event is being run. Not only have extra fields already been secured to cope with demand, but also much more emphasis is being put back on getting VW fans – and their vehicles – into the showground. 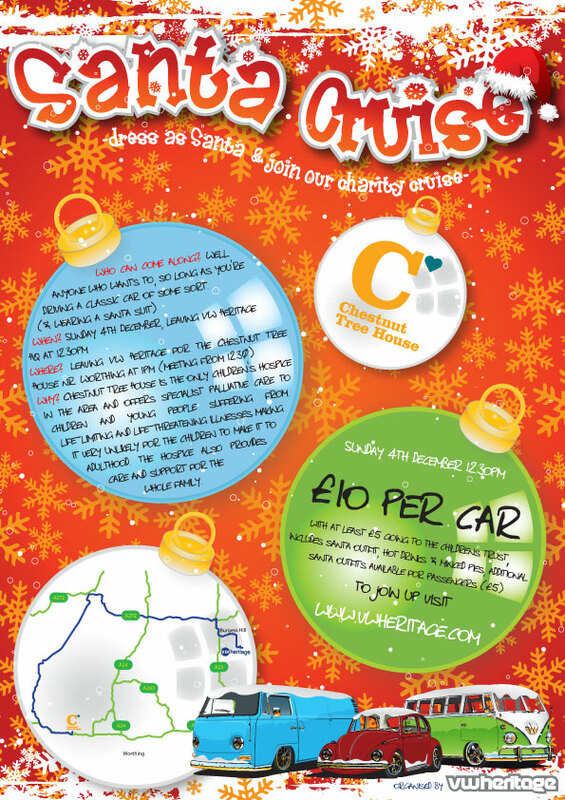 After the success and the fun of last year’s event, VW Heritage is organising another Santa Cruise in aid of Chestnut Tree House on Sunday, 4th December 2011. If the idea of dressing as Father Christmas and going for a leisurely drive in the company of other festive folk sounds likes fun, then this is definitely for you! To take part in the fun visit www.vwheritage.com/santacruise for details on how to register. This year the chosen charity and destination for the Santa Cruise is Chestnut Tree House located just outside of Worthing in West Sussex. This charity looks after life-limited children from birth to 19, offering periods of respite care and support for children and families alike. Wolfrace, the UK’s leading alloy wheel brand, introduces the popular Triad alloy wheel in new Gun Metal finish into the Asia-Tec range. 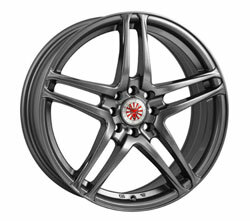 The Asia-Tec collection is the entry level wheel range from the comprehensive product portfolio by Wolfrace and comprises of several hot-hatch favorites such as the multi-spoke Pro-Sprint, five-spoke Katana and the new retro-look High Octane. In addition to this, and arguably the range’s most popular design, is the Triad, a simple split five spoke-design offering a no nonsense upgrade from steel and original equipment alloys.